Happy Friday! I can't believe it is August already! This summer is going by so fast. 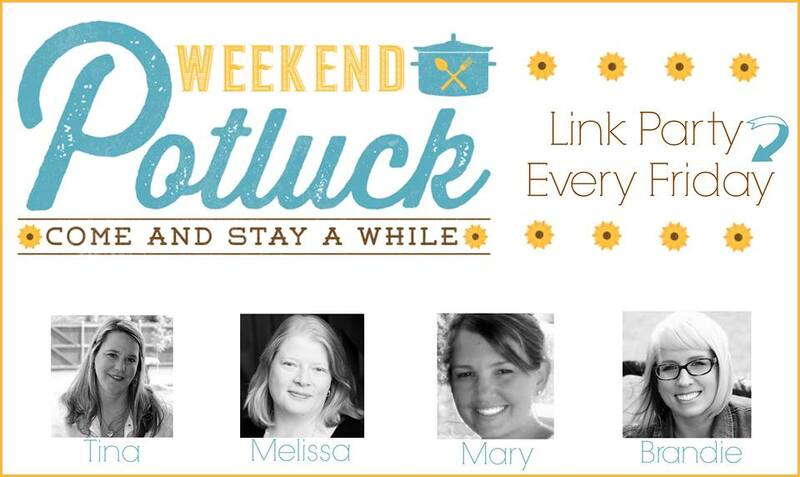 We have some great features this week that are sure to tempt your sweet tooth. Peach Batter Cake grabbed the top spot as the most clicked recipe. That has summer written all over it. But we didn't stop there. 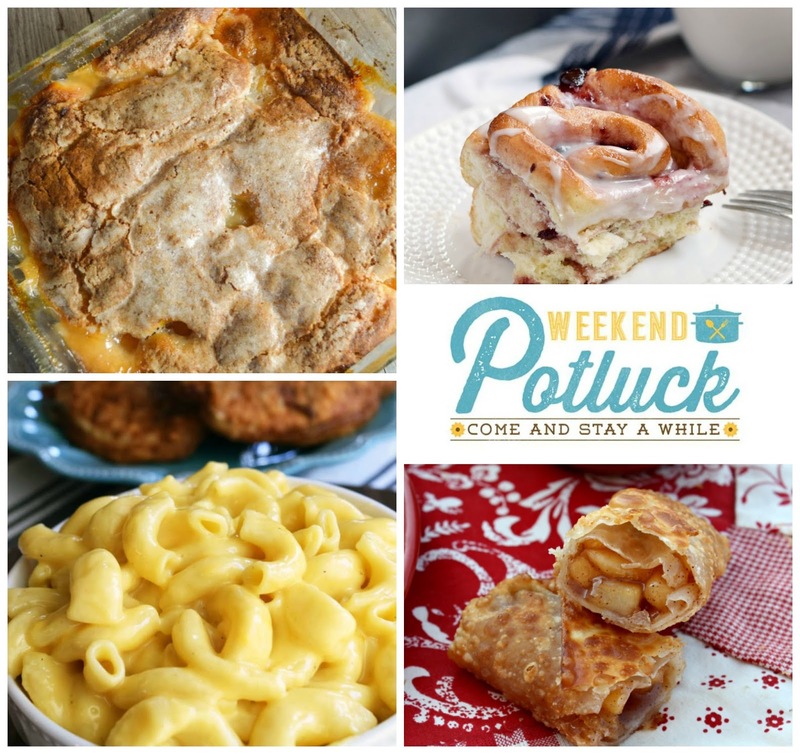 The other featured recipes are Cherry Sweet Rolls (YUM! 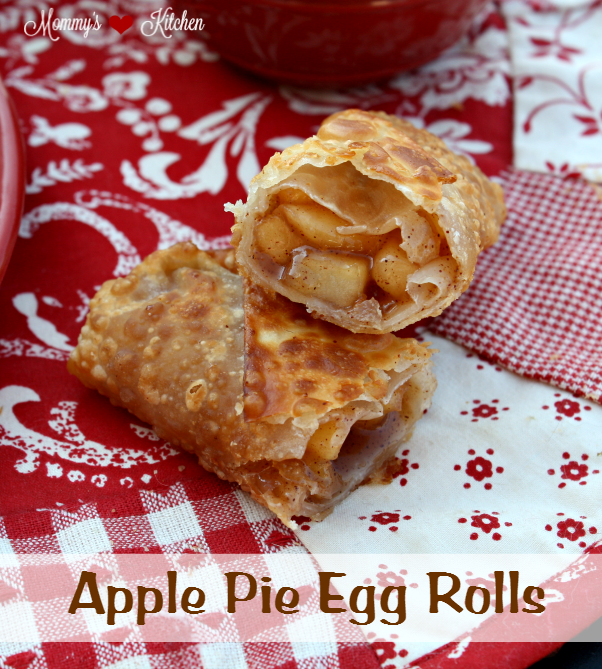 ), Instant Pot Creamy Macaroni & Cheese, and Tina from Mommy's Kitchen brought all the fun with these Apple Pie Egg Rolls! Who hungry? 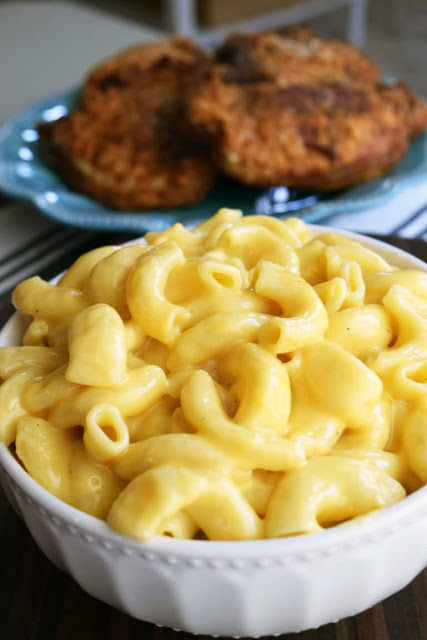 Thank you so much for featuring my Instant Pot Mac n Cheese this week! Love Weekend Pot Luck each week! So many delicious recipes!